According to the Guardian, the surviving members of Nirvana — Dave Grohl and Krist Novoselic — will perform together on stage tonight at Madison Square Garden as part of the 12-12-12 Hurricane Sandy benefit concert. 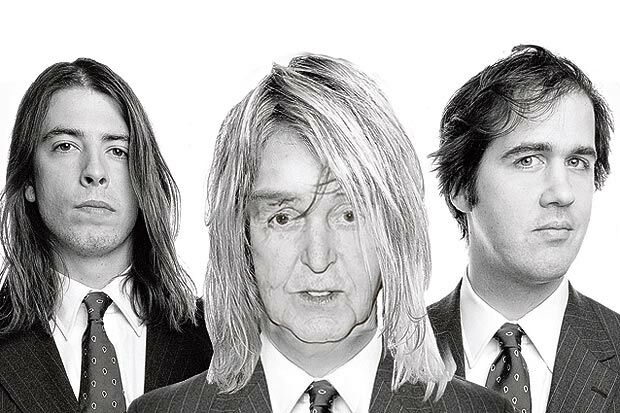 And they’ve found a worthy replacement to fill the shoes of Kurt Cobain: Sir Paul McCartney. It’s unclear what McCartney, Grohl, and Novoselic will play at 12-12-12, though McCartney suggested they “just make something up” for the jam session. Above photo courtesy of The Sun.